Our Tutors help students understand their educational goals and set achievable milestones toward reaching them. Our Tutors help students discover their motivations, and find out which learning techniques work best for them. Our Tutors continually monitor students’ progress and make adjustments in their approach, if needed, for optimal results. 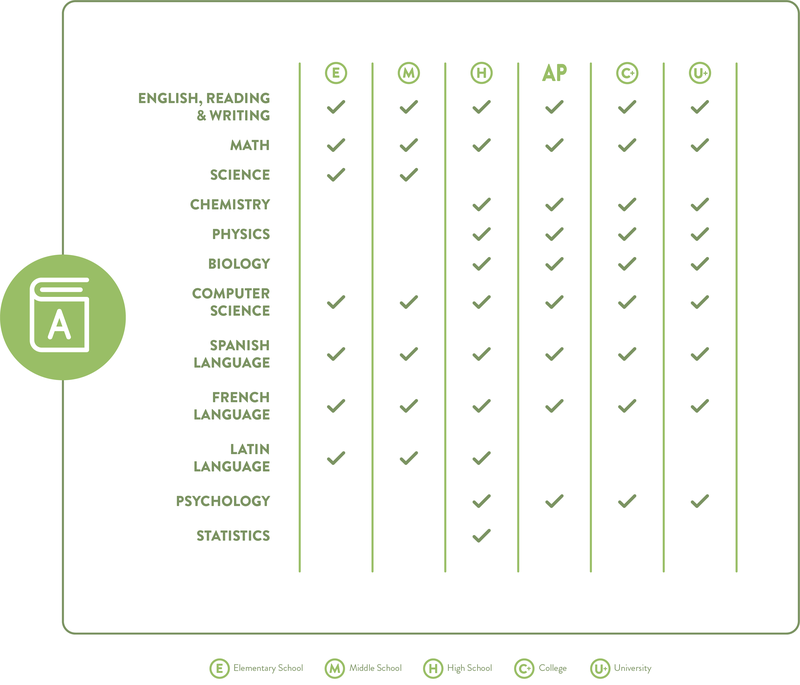 Our test prep team helps students prepare for the SAT/ACT/SSAT/ISEE tests by implementing effective strategies and practices, homework, and pace that is appropriate for the student. Over the years I have relied on numerous services to assist us in developing various professional and personal skills, and have had the opportunity to work with many types of training agencies. Our tutor stands out as an entrepreneurial spirit who understands the importance of relationships in teaching above all. Her ability to connect to a wide array of personalities, both younger and older, friendly and obstinate, shows me that she has the inherent ability to understand and manage people. Her real strength is how she is able to do this gracefully, and without casting a sense of being managed. We will definitely work with her again. Olivera helped in making a foreign language feel like my own! English is not my native language, so it made me feel uncomfortable. I was able to overcome that with Olivera. We would speak in English only. It was difficult at first, but my confidence grew with encouragement and advice. She paid attention to my interests and used them to explain things I had trouble understanding. Overcoming cultural barriers was easy! She would use all sorts of materials – music, movies, videos to get me more motivated and teach me what textbooks can’t. Even though we didn’t work together for very long, Dmitry really helped me with studying for chemistry exams. His approach to tutoring is great and I’m glad he was available to help me. Our Tutors work 1-on-1 with each student, and every lesson is done in accordance with the student’s school or college curriculum. Each Tutoring session takes place in an online classroom-like environment, via Skype video and with the aid of a whiteboard. Our Tutors customize study techniques for each student and present problems and solutions in a way that students can quickly understand. Our Tutors use guided practice as a key learning technique, in order to help the student understand and master the material, as well as become an independent learner. Our Tutoring services go hand-in-hand with our Coaching services. What we do is, in fact, a symbiosis of Academic Coaching and Tutoring, hence our name. Through our trademarked set of learning strategies, LearningPlays™, our Coaches and Tutors work together in helping students improve their learning techniques and “learn how to learn”. 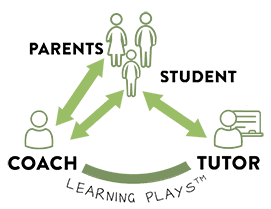 Our Coaches help students work on motivation, study skills, and learning challenges, and then our Tutors assist them in getting the right academic support.